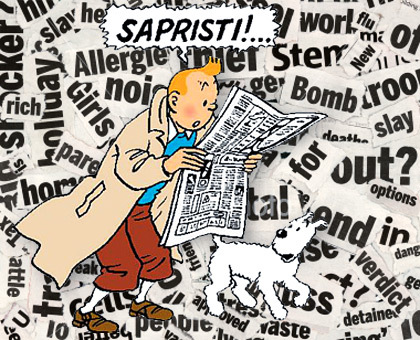 Every day, news desks are flooded with stories. Domestic and international news, scandals, remarkable investigations, political intrigue etc. The most interesting subjects and topics always make headlines, but how much can the media be trusted? “Who’s behind all these fun facts? Has everything been properly checked? Are these sources reliable?” In today’s media universe, those kinds of questions aren’t relevant anymore. Now it’s more about: “Do we have a wide variety of subjects? Are we sensational? Is our news more elaborate than our competitors’ news feeds? Is the headline catchy enough?”. All these worries are understandable; the media sector is under a lot of pressure. With the rapid growth of new media and the speed of digital news, one simply can’t fall behind. News needs to score! But sometimes, things go wrong. Dutch newspaper ‘De Volkskrant’ published an obituary for musician Tata Mirando in 1992. This wouldn’t be weird if it weren’t for the fact that Tata Mirando hadn’t died yet and the picture accompanying the news of his death wasn’t even of him! 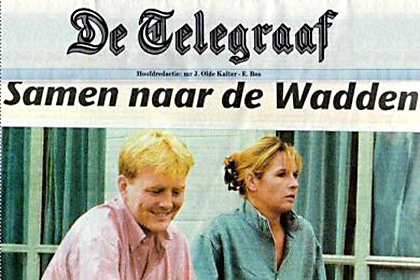 Another Dutch newspaper, ‘De Telegraaf’, published a picture of (former) prince Willem-Alexander and his ‘bride to be Máxima’ near the end of the 90s. In a bid to outshine the competing media brands, they published the photo a couple of times, using several channels. Tiny side note, though: the woman wasn’t Máxima at all. It was the girlfriend of one of Willem-Alexander’s friends. A few weeks before the 2006 World Cup kicked off, the whole world was suddenly introduced to Paul Hucker. Hucker, a fiery football fan, had insured himself for 125 pounds in case he suffered an emotional trauma from the loss of Beckham and his team. This story stole all the international headlines, but the truth came out a little while later. Hucker turned out to be nothing more than a sly marketing shark who had set up a stunt for one of his clients, an insurance company. This led to some spectacular results in the United States. By far the most famous example of fact checking gone wrong was the blog-tastic takedown Dan Rather, the American TV journalist and news anchor. Rather, who used to be a strong and untouchable media brand, was sacked after some bloggers had proved that he was basing his news show “60 Minutes” on false documents about George Bush’s time in the army. The Cincinnati Enquirer also suffered from a fact-checking scandal: the American journal was forced to pay 10 million dollars to Chiquita Bananas because of their publications that wrongfully accused the banana company of cocaine transport. 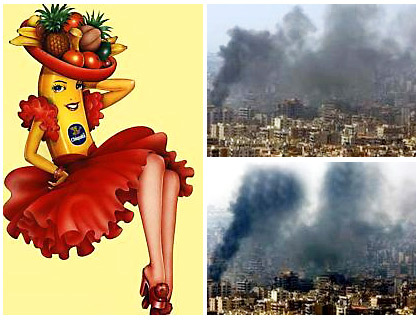 Reuters, a media authority, also lost quite a bit of credibility in 2006 when one of their photographers, Adnan Hajj, was found guilty of manipulating a war picture from Lebanon. He had added some extra smoke and buildings in the background. Reuters quickly admitted to being guilty, had the photos pulled and severed all ties with Hajj. In the end it turned out that Hajj had manipulated several of his photos with Photoshop. Which also reminds us of Nicolas Sarkozy’s airbrushed love handles. From a receiver’s point of view, credibility is quite a subjective thing. It’s all about perception. And that perception is influenced by the sender, in this case: a brand. A strong media brand will always be perceived to be more believable than a weaker brand. Even if the message is just the same. This doesn’t rule out media mistakes, of course. Has the time come for the rules to change? Should we have to pay more for real, well-founded news? Should every news department be obligated to have a ‘fact-checking’ division? Whatever the solution may be, one thing’s for sure: the media supply us every day with exciting things to talk about. In the end, isn’t that all we’re interested in?